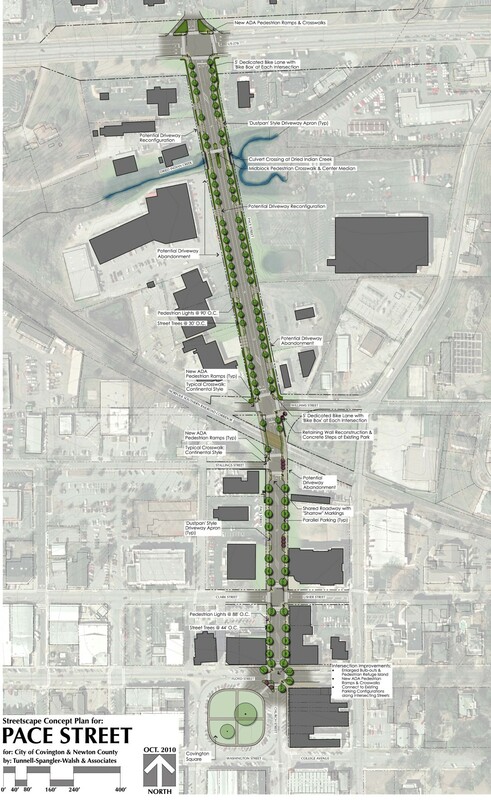 The Pace Street Corridor plan is the cornerstone project for a greater initiative to make Covington a more walkable city. 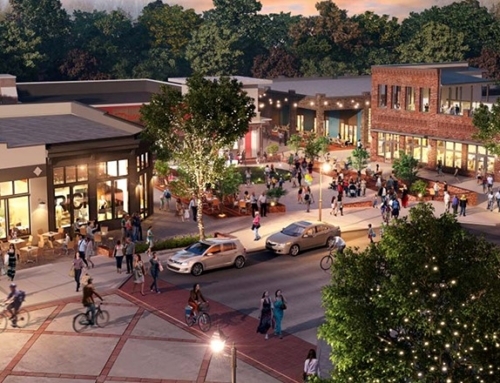 The plan aims to connect the historic downtown square to the commercial district of Highway 278 by providing pedestrian and bicycle access and crossings. 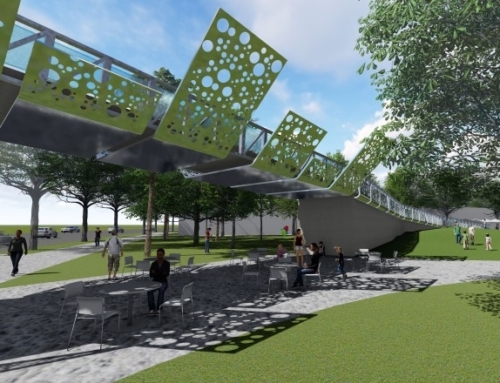 In addition, the plan will integrate greenspaces, both existing and future, within the Dried Indian Creek floodplain and adjacent to the railroads. 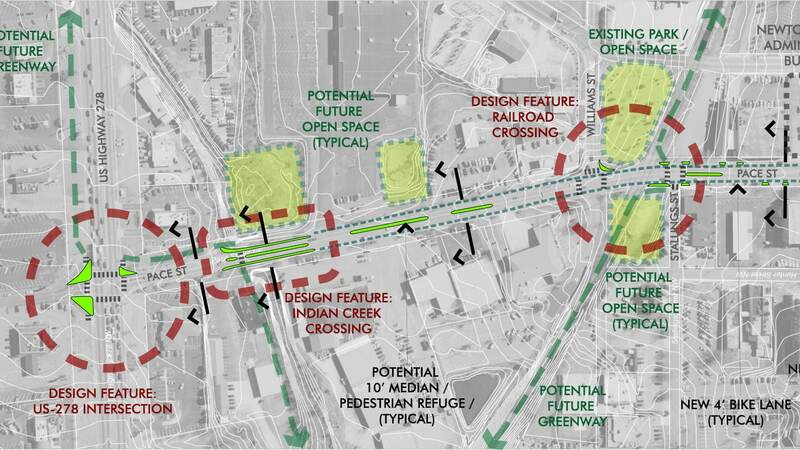 A vital component to the Pace Street corridor is its ability to accommodate future growth and potential greenway and open space linkages. 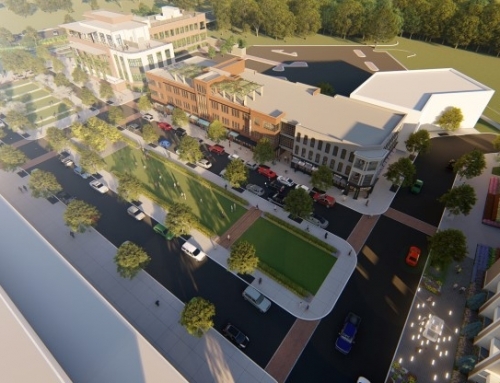 As large swaths of land along this street are poised for redevelopment or have the potential for such, TSW’s concept allows for future on-street parking while continuing respecting the current land uses. 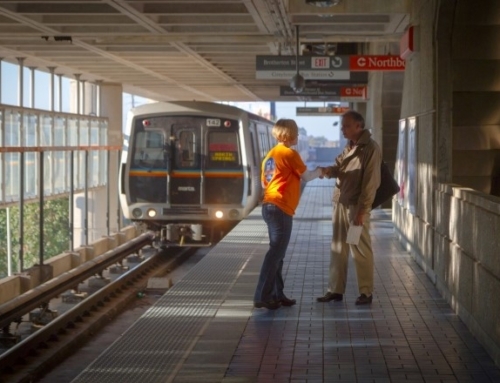 Using a road diet approach, existing curb lines and underground utilities are respected, while re-configuring the four existing travel lanes to allow for better organization and usage. 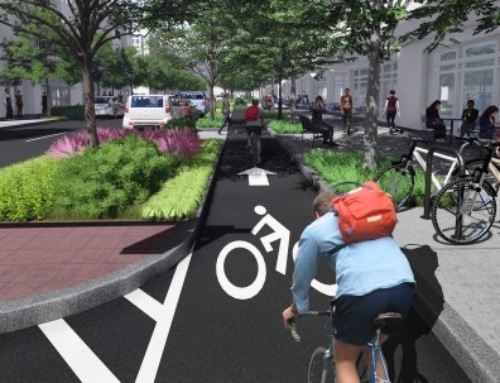 This transformation takes the approximate 40’ width road section and converts it into two 11’ travel lanes, a 10’ center median or turn lane, and 4’ bicycle lanes on either side of the roadway. 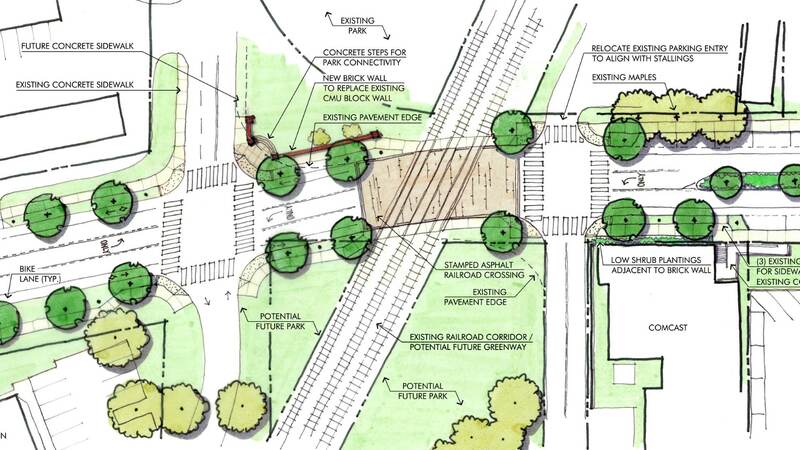 To accommodate future on-street parking in the areas outside of the historic downtown, trees and sidewalks are distanced accordingly from the existing roadway edge. At a later date, this parallel parking could be added under private or publicly funded projects with relative ease. 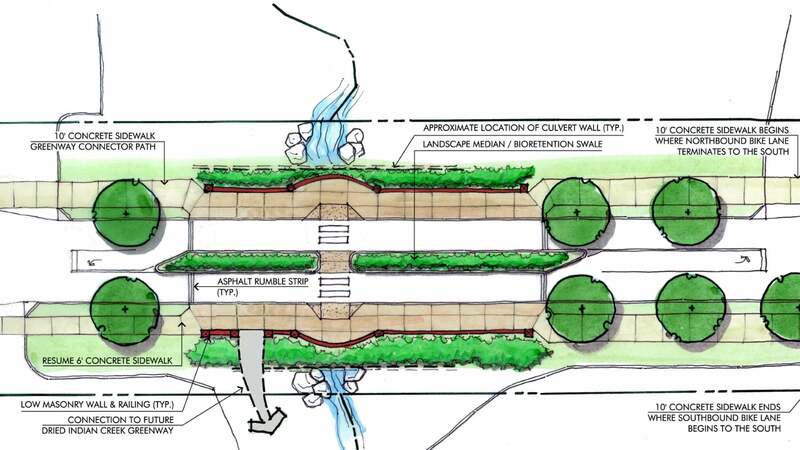 As an added feature to this road diet, innovative measures are suggested as a means to help reduce the amount of stormwater runoff as it feeds into Dried Indian Creek and its adjacency. By intercepting portions of this stormwater into decentralized bioretention zones, there will be less impact on these waterways while the overall demand on the city’s storm and sewer infrastructure are somewhat reduced.